Mortgage lender the Halifax has issued its latest house price statistics, showing that annual price growth slipped by 0.8% between May and June this year. Halifax’s latest data shows that house price growth in the 12 months to June this year was at 8.4%, dropping from 9.2% the month before. This makes the current level of growth the lowest it’s been since July last year, when annual house price inflation dropped to 7.8%. On a month by month basis, house price growth was at 1.3%, beating April and May’s figures, which were affected by a particularly turbulent March during which several landlords and would-be second home owners rushed forward transactions in order to beat the stamp duty hike in April. Quarterly growth was at 1.2% - the lowest level seen since December 2014. Despite slowed growth, Halifax nonetheless reported the average property price in the UK to be at a record high, as will continue to be the case until price growth turns negative. According to Halifax’s data, the average UK house currently costs £216,823. Coupled with this was a new nine year high for the ratio between average house prices and average earnings, showing affordability becoming increasingly stretched - something that will put exert some downward pressure on prices as it reduces demand. 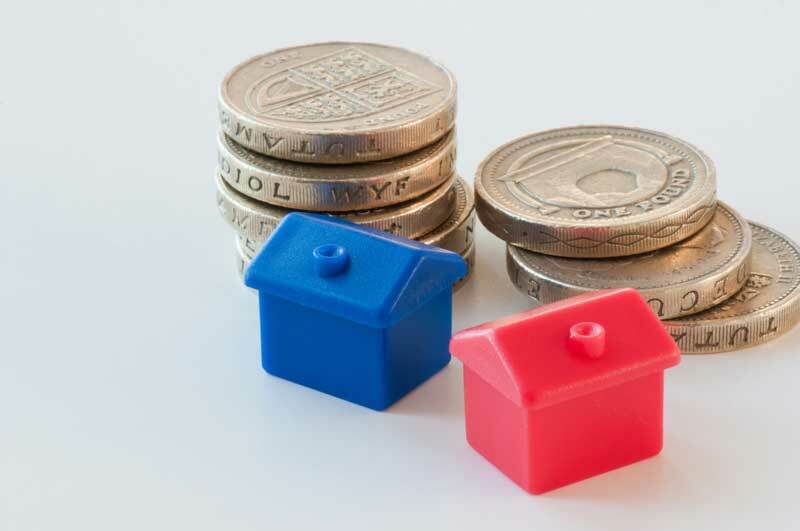 Currently, the average property costs 5.7 times the average annual earnings in the UK. Halifax housing economist, Martin Ellis, said: “There is evidence that the underlying pace of house growth may be easing. House prices in the three months to June were 1.2% higher than in the previous quarter; down from 1.5% in May. The annual rate of growth fell from 9.2% in May to 8.4%; the lowest since July 2015. Howard Archer of IHS Global Insight has warned that the fallout from the referendum may be starting to weigh down on the housing market. He predicts that prices are likely to fall by 5% over the second half of this year and by more into 2017, arguing that downward pressures are likely to overcome any restrictions on price drops caused by continually short supply of new homes. He said: “We believe that the prospects for the housing market have deteriorated markedly following the Brexit vote. However, Hansen Lu at Capital Economics is of the opinion that the Brexit effect will not be quite as severe as Archer believes it will. While economic growth is likely to remain stunted for at least the rest of this year, he said, it is unlikely that a slowdown will be so extreme as to lead to the kind of recession that would lead to prices actually falling. Lu said: “We think economic growth will be tepid in the remainder of the year, [but] we don’t expect a recession or sharp rise in unemployment. Others hold an opinion more or less in line with Lu’s, arguing that while this latest data from Halifax does show signs that the market is easing somewhat, it also shows signs of some underlying strength. Former Rics chairman Jeremy Leaf said: "Although the Halifax report shows that house price growth is slowing, it also reveals that the market showed surprising resilience in the period immediately following the increase in stamp duty [of 3pc in April for buy-to-let landlords], leading up to the referendum.